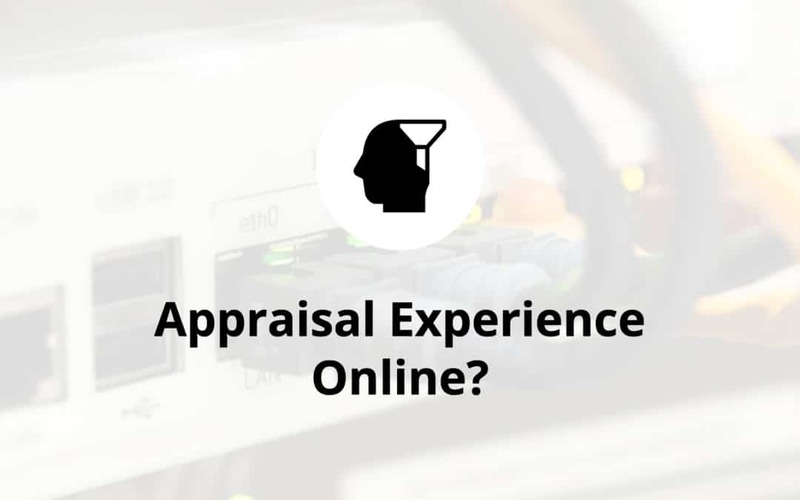 Will an appraisal trainee be able to get their required appraisal hours using an online virtual experience? Yes, according to the Appraiser Qualifications Board (“AQB”) and their Practical Applications of Real Estate Appraisal (“PAREA”) initiative. At the September 28, 2018 AQB meeting in Raleigh, PAREA was the major topic with AQB members denoting that it will be the board’s major focus moving forward. While the project is ongoing with many of the details yet to be determined, expect trainees in the future to be able to gain appraisal experience by completing virtual modules online. The implementation of PAREA would include multiple exposure drafts seeking comment and would ultimately amend the Real Property Appraiser Qualification Criteria that is followed by the North Carolina Appraisal Board. 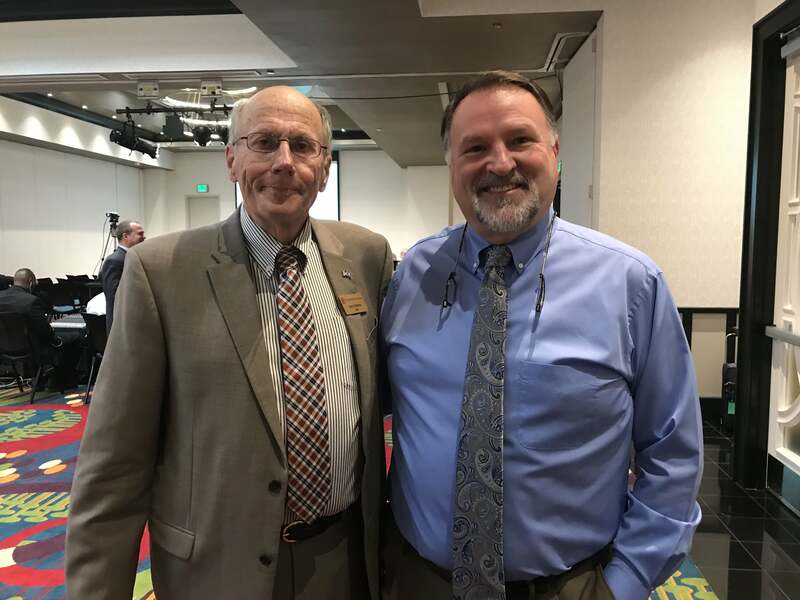 Larry Disney and Pat Kelly pictured together at the AQB Public Meeting held in Raleigh, NC on September 28th 2018. Mr. Disney, from Kentucky, is a member of the AQB. Mr. Kelly is an instructor with BrightPath Education Services. The modules are expected to provide experience on a variety of types of properties, approaches to value, characteristics, uses, challenging issues, and more. The trainee would produce an appraisal report and would work with a certified appraiser as a supervisor who has met the AQB’s yet-to-be-determined supervisor qualifications. Under the current proposal, a trainee could gain up to 75% of their total required experience using these virtual modules. Currently, that would mean a trainee applying to become a Licensed or Certified Residential Appraiser could gain 1875 hours out of the required 2500 hours online using virtual modules. To become a Certified General Appraiser, the trainee could gain 2250 hours out of the required 3000 hours online using virtual modules. For more details, insights, and comments made at the AQB meeting, please consider taking one of our “Running Your Appraisal Office” appraisal ce courses where we will discuss this issue in great detail. Currently, we have just a few classes posted. Due to demand for information on this and other timely topics, will be adding many other offerings of this class to our website. I believe this would be helpful. This is too much credit for virtual experience. There is no public contact or typical review with clients and does nothing to promote professional quality. The lack of real world experience will further denigrate the quality of the profession. Confirmation of comparable sales, rents, etc., problem solving (by understanding real world problems) and the ability to communicate with the public and clients can not be replaced by machine. A smaller percentage is the least that should be done if any at all. There are too many poorly trained appraisers out there now and this will expand that population. It will likely generate more complaints to the boards. I think this is a great idea! When I was in class with Pat this spring, half the class did not have a supervisor. Through conversations with them, many said they were very discouraged that they may never find one. Hopefully this will alleviate that problem in the future. Nice article! As a trainee, it is very hard for us to get supervisors, especially full time. I think classes need to link in more real world experience and filling out the forms so I feel this would be very helpful. I think we need both real world experience but there is a lot that could be learned from online demonstrations. In a different … past world, I would have thought this was a terrible idea because nothing can replace the real world problems, hurdles, nuances, etc., an appraiser or appraisal trainer will encounter in the “real world field”. It just can’t and won’t. That being said, we as appraisers are faced with a choice, either find a way to produce more “qualified appraiser’s” for the lending portion of our industry, or politics and technology will take the appraiser out of the equation for the majority of lending assignments/transactions until another catastrophic economical event takes place…maybe. So in the world we live in now, I can see where this may help for an initial set of experience credits, but at some point a trainee will need some supervision in real world assignments; whether it’s problem properties, unusual assignments, client relations… whatever, to be able to become actually qualified to be on their own and dealing with the public. Its hard enough sometimes for those of us with a lot of real world experience.